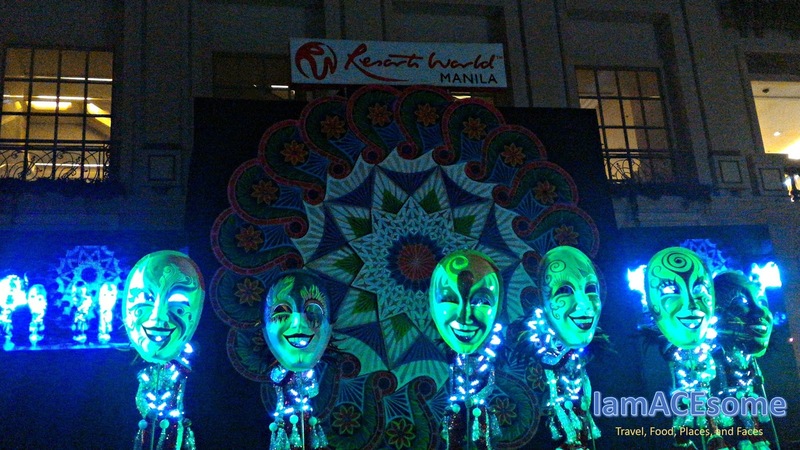 The Resorts World Manila (RWM) offers the best one yet as it kicks-off its annual Grand Fiesta Manila celebration, this is the reasons to smile this yuletide season and premier lifestyle. This is already on its 6th year, RWM’s holiday fête pays homage to Bacolod’s renowned MassKara Festival this year with the theme ‘The Many Faces of Holiday Thrills’. 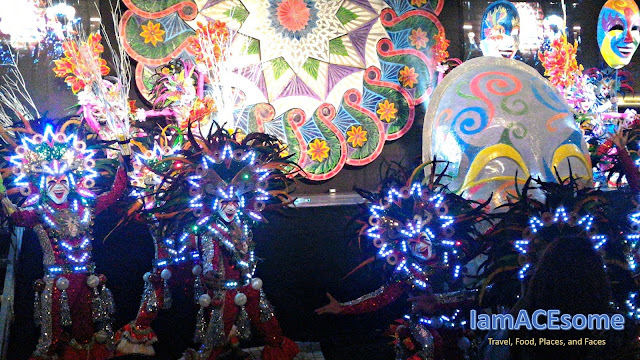 This is similar to how the iconic parade breathes life to Bacolod’s distinction as the ‘City of Smiles’, this year’s Grand Fiesta Manila celebration crams the vibrant colors and merry imageries Filipinos are known for into a month-long marathon offering of the best concerts, parties, movies, shows, exhibits, promos, and exclusive events all under one roof. The non-stop excitement starts with a different kind of holiday cheers as RWM presents simultaneous world-class sporting events beginning November 19. At the greens, RWM, in cooperation with the Asian Tour, is set to host some of the world’s top golfers for the third edition of the Resorts World Manila Masters. The richest golf tournament in the Philippines takes place from November 19 to 22, 2015 at the Manila Southwoods Golf & Country Club. Meanwhile in Newport City, RWM partners with Dragon Promotions to host the inaugural Kings Cup. Set to take place from November 19 to 21 at The Plaza in Newport Mall, the tilt pits the champions from Asia against the top players from Europe and the Unites States in an epic continental clash between billiards’ best. Stars continue to shine as RWM draws the curtains of the award-winning Newport Performing Arts Theater (NPAT) once again for the highly anticipated second run of ‘Bituing Walang Ningning, The Musical’. The original, all-Filipino production expects to dazzle audiences with performances from celebrated performer Mark Bautista, theater luminary Cris Villonco, and new stage star Monica Cuenco. The musical’s powerhouse ensemble is made even more star-studded with the addition of multi-talented actor Epy Quizon into the fold. ‘Bituing Walang Ningning, The Musical’ takes the NPAT stage on the weekends of December 3 to 6, December 14 to 15, and scheduled dates in January 2016. Keep on dreaming big this season of smiles as RWM brings back Ainsley, Dayen, Mary, Stevie, and Tanika as Hi-5 returns to Manila for their ‘House of Dreams’ concert. Set to take place from December 18 to 21 at the NPAT, the concert takes the crew on a journey featuring some wild, wonderful, and wacky adventures as they enter the magical world of dreams. The Plaza in Newport Mall turns into a center for merry-making throughout the Grand Fiesta Manila celebration with a host of entertainment offerings including meet and greet opportunities with Santa Claus accompanied by a bevy of fun buskers every weekend of December. Continuing to make the Christmas spirit burn bright, guests are treated to moving performances from the University of the Philippines Singing Ambassadors every Saturdays and Sundays of December including a special Christmas day act accompanied by the soothing voice of Arthur Manuntag. 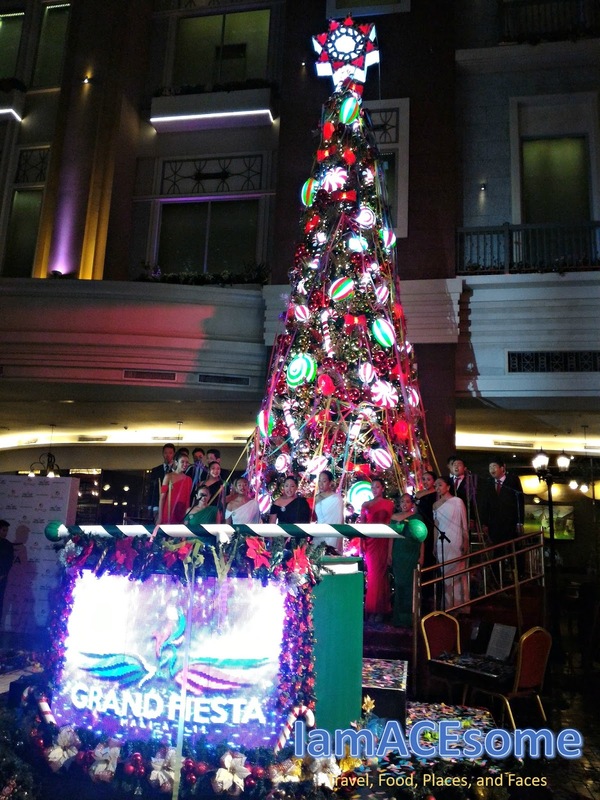 All the yuletide cheers are made even brighter with a daily display from RWM’s signature, 18-foot-tall Giant Parol which features over 2,000 light bulbs moving in sync with the liveliest of holiday hymns. RWM’s Grand Fiesta Manila 2015 culminates with a bang as the property ushers in 2016 with simultaneous New Year’s Eve parties at entertainment hub Bar 360, Rock to Midnight at The Plaza in Newport Mall, and The Grand Countdown at the Marriott Grand Ballroom on December 31, 2015. 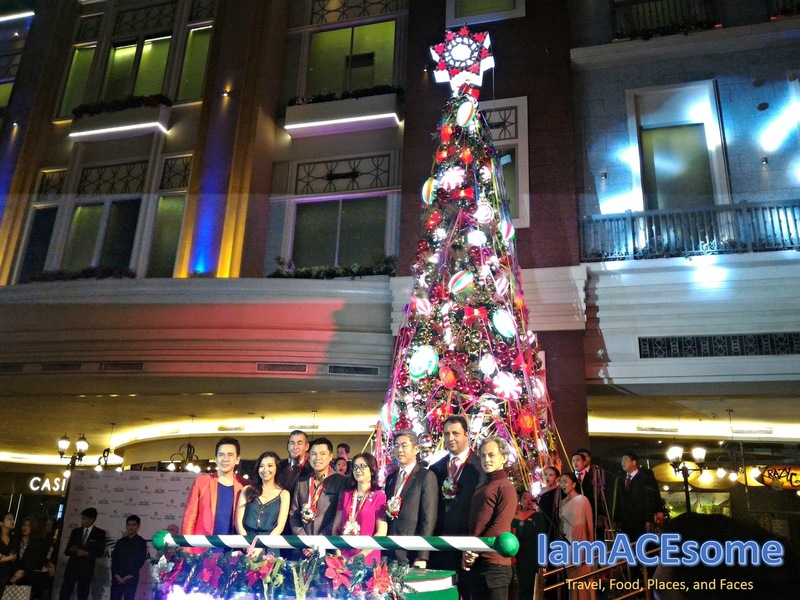 Rock to Midnight at The Plaza in Newport mall will be headlined by a concert featuring Yeng Constantino, Rivermaya, The Dawn, Spirit of ’67, and Fanzy Notes, while The Grand Countdown at the Marriott Grand Ballroom will offer the most lavish way to greet 2016 with a bevy of thrills for the entire family including performances from the Divine Diva Zsa Zsa Padilla, International Pop Star Charice, and the Concert King himself Martin Nievera. The trifecta of stars will share the stage with other top class acts such as funnyman and Bituing Walang Ningning: The Musical star Jon Santos, performances by Asia’s Got Talent champions El Gamma Penumbra, and a spectacular jaw dropping show from RWM’s international acrobats, Universo Robots, and Mark Mabasa & Friends. 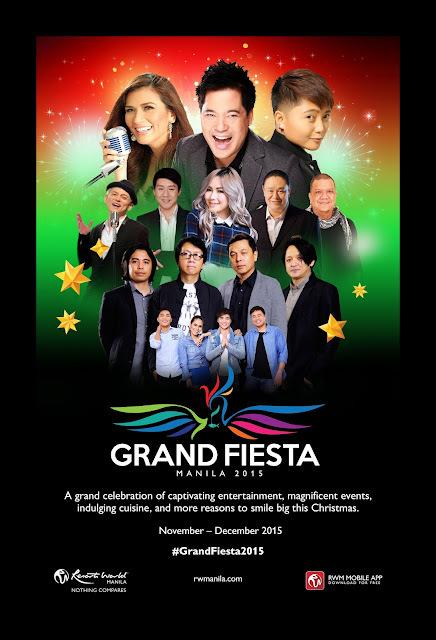 Visit www.rwmanila.com or call the Tourist/Visitor Hotline at (632) 908-8833 for more information about Resorts World Manila’s Grand Fiesta 2015. 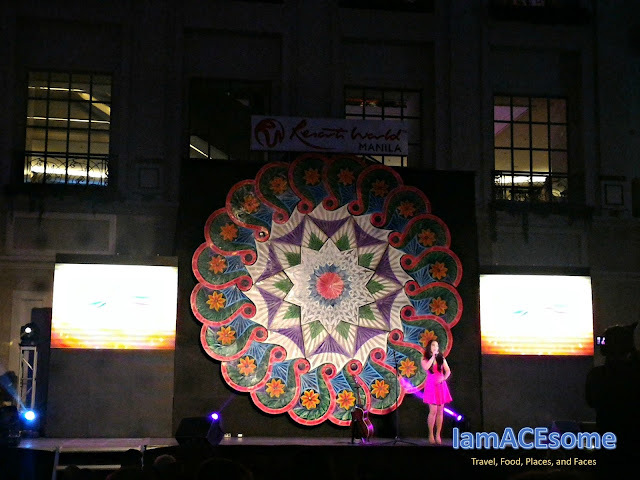 RWM is the first one-stop, non-stop entertainment and leisure destination in the Philippines that features recreational thrills, world-class performances, unique events, and exciting lifestyle options. Conveniently located across Ninoy Aquino International Airport Terminal 3, RWM is an instant gateway to world-class Philippine hospitality and is home to four lodging brands, (MAXIMS Hotel, MARRIOTT Hotel Manila, REMINGTON Hotel, and BELMONT Hotel), a three-story convention center housing the country’s largest hotel ballroom (Marriott Grand Ballroom), and two more hotels (SHERATON Hotel Manila and HILTON Manila Hotel) currently under construction.